Everybody knows Bob! Bob works in the IT department of a Financial Services company. When the Office staff have a problem, they call him and say, "Hey Bob, I have a situation here, Can you fix it". Bob knows all the employees by name and their assets details. He fixes all problems and runs a great show. The business is going great and the company expands adding more employees providing them more IT Services. Can Bob still run the show? 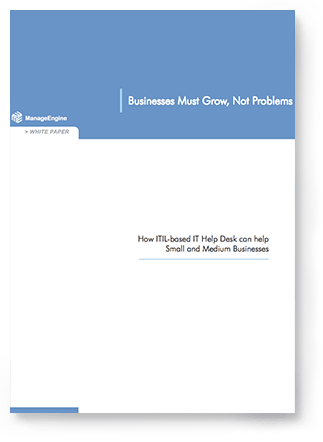 Let us see how ITIL-based Help Desk Software can help Bob and businesses with IT Help Desk team similar to Bob's run a great show and provide uninterrupted IT services.